I love to create. Sewing is my favorite hobby, but I dabble in yarn manipulation, painting, 3D printing, hot gluing, and duct taping. I will learn whatever it takes to attend various costumed events in inter-universal style. I first learned to work a stitch when my mother refused to hem my uniform skirts in grade school. Boy, did I show her…while deftly dodging nuns with yard sticks. These days, I have a few machines of my own, in a home sewing studio where my super supportive hubby & kiddos let me get lost. I have a collection of commercial patterns that I alter more often than not. Through those patterns, a growing library of good books and manuals, and the interweb [sic], I’m picking up all the bits of knowledge that I wish I’d learned as geekling back in the dark ages. My projects travel to the not-quite-so-local renaissance, steampunk, and fairy faires, comic book conventions, and local-ish belly dance events. 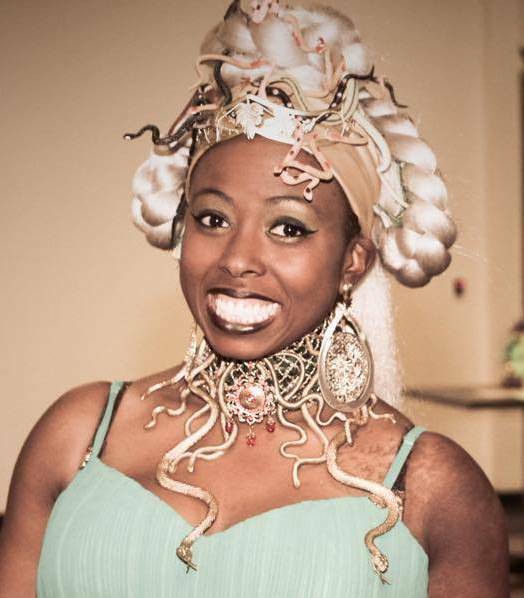 Every couple of years, I emerge to speak locally about costuming, providing resources for beginners and emphasizing the fun to be had in learning new skills. If you want to chat about all things crafty, I can be reached by email – gls [dot] themaker [at] Gmail [dot] com – or through the comment section of each post and page. There is a WordPress follow button in the right menu, and I can be found via the following social media options. I am totally intimidated to start real costuming. I barely know how to sew, but I like it. I lean not towards Elizabethan/Rennaisance stuff, but more toward making crap for my sewing-impaird burlesque dancer friend. Basically I want to make slutty Moulin Rouge clothes. With feathers. And maybe some beading/sequins. Now if I can only get my own craft room and serger… Nice set up lady!